EliteMMO Network • View topic - FantasyWarp v2.0.0.3 Released! 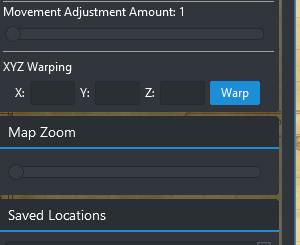 Post subject: FantasyWarp v2.0.0.3 Released! 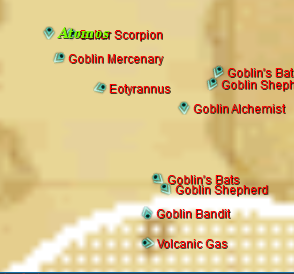 Added arrow displays of the the heading directions of all entities. Adjusted the sidebar to scroll instead of cause the window to resize when it exceeds the window size. Adjusted the margins between the sidebar items. Various internal code required to make the above work. Added some new service backend information for the above to work. The entity dot object has been altered to use an image now by default. This image is a simple arrow, which has been used in Ashita's Minimap plugin, that can now show you what directions everything is facing, including yourself. The sidebar has been revamped a bit to include some new features and is now scrollable. This should help with any unwanted resizing of the main window causing map alignment issues. Interested in gaining access to FantasyWarp and other premier applications here on EliteMMO Network?